A popular autumn and winter drinks – Korean sweet potato latte recipe! 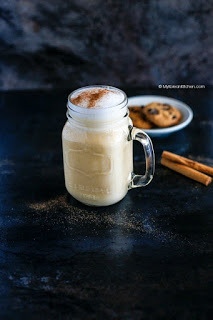 Today i will share to you a delicious drink recipe , sweet potato latte is prepared in a very similar way to my pumpkin spice latte. Sweet potato is steam cooked then blended with some milk. Finally, the blended mixture is heated with some sweetener. To some degree I think even the flavour resembles the pumpkin spice latte without all the spices. 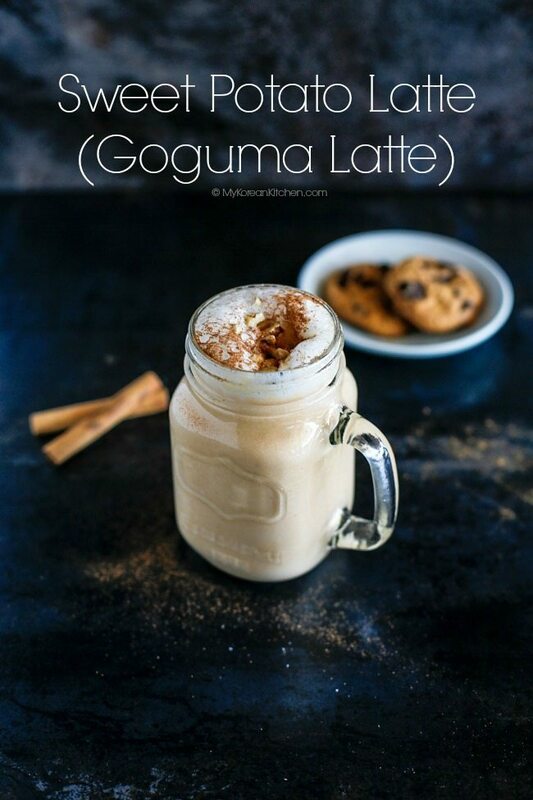 Sweet potato latte can be served as an on the go breakfast or afternoon snack. I haven’t shared this drink with my little daughter yet but I’m sure she will love it. Try it this weekend and let me know what you thought of it! Frothed warm milk (optional but recommended) – I used this milk frother. Steam the sweet potato until it is cooked (for 20 to 25 mins). Once the sweet potato is ready, put the steamed sweet potato and the milk into the blender. Blend until the sweet potato is completely blended into the milk. Pour the blended mixture into a pot and add the sugar. Heat it up on low temperature until the mixture warms up (for 4 to 5 mins). Stir/whisk constantly. Pour the sweet potato latte in a mug cup. Add the frothed milk (optional). Sprinkle some cinnamon powder and garnish with your choice of nuts (optional). Serve.